A hen party is the one night that all brides and her closest female friends look forward to and for good reason. It’s the one time during the wedding schedule that the bride can let her hair down with her very best friends and family to celebrate and anticipate her coming nuptials. It’s a night to celebrate with enthusiasm and just a touch of liquid joy. What’s the best Hen’s party idea? We have a simply yet accurate answer to this question – a Party Bus. In the list of Maid of Honour duties, top ranking has to be organising the Hen’s party and many of the party organising committees we encounter are opting to go unique. And for them a ‘unique’ night is about taking in and seeing as much of ‘what’s happening’ as they possibly can. And you can only do that with a vehicle of epic proportions, one that is suitably decked out and stocked with all things a Hen’s Party reveler would need. Namely a lavish interior, rocking sound system, well stocked bar, plush and sociable seating and of course, the ability to move from bar to club in style and ease. The vehicle of choice based on these criteria will, without hesitation, be the Viper Party Bus. A Hen’s party in a decked out Party Bus, especially The Viper, is one filled with all the people a bride loves and the people she loves to party with. It’s the perfect option when you have many tastes and preferences to cater for. 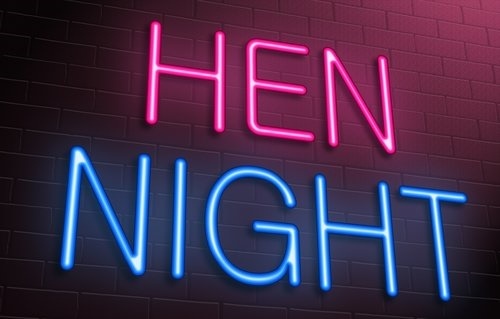 We can’t think of a better way to spend a Hen’s night than by having your closest friends all pile into a coach of impressive style and comfort to enjoy a drink or two or three, great conversation, great party atmosphere and the anticipation of a cracking night ahead. Top that off with a constantly changing city vista as you move from location to location and you’re in for a rocking good time. Auckland has a vibrant night life that is visually stimulating, so it makes sense to use it to great effect and the large open windows of a coach allow you to soak in the view while staying protected and private from those looking in. Riding (quite literally) high, the view from above in a luxury coach is rather intoxicating, you get this heady feeling from both the party atmosphere and the visually vibrant city-scape with colour, moving lights and shapes. It’s a combination you don’t come across often. 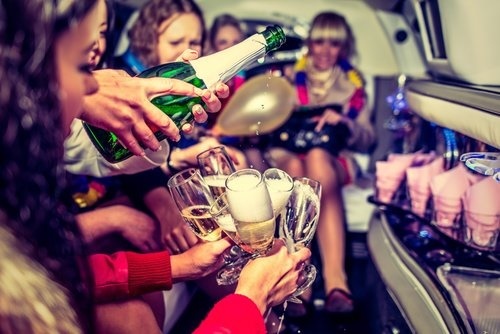 If like many Maids of Honour, you are weighing up multiple party options and have details and costs coming out your ears, the team at Party Bus can help you get some clarity. We are the experts when it comes to making decisions easy. Come up with a destination or a party route that will deliver you the best experience and Party Bus will take care of the rest. Our range of coaches are suited to all budget levels and hireage is flexible and works with what you need. A Hen’s party is all about fun, frivolity and giving your bestie the best night of her single life and we know we can help deliver on that.